With over 25 years experience in the accounting profession Trevor has been actively involved in assisting individuals and small businesses with their financial and taxation affairs. 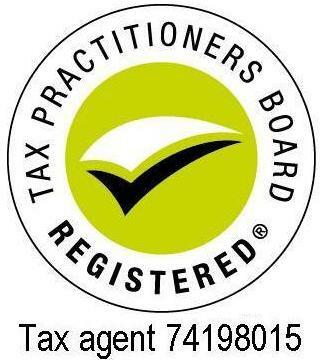 He is a member of CPA Australia as well as a registered Tax Agent. After working in a small accountancy practice for a number of years Trevor decided to branch out on his own and opened his own practice in December 2000. After 5 years operating as a sole practitioner, the decision was made to expand the business and take on a business partner, Michael Ackerly in 2005. Since the birth of Selwood Ackerly Accounting Services in 2005, the focus has been on delivering a first class service to our clients through our on hands approach and also ensuring we are up to date and using the latest technology. Being born and raised in Wangaratta Trevor has a great affection for the North East which has given him a wealth of knowledge of the area and the people who live here. Trevor and his wife Jackie (also a well known local) have 5 children as well as 6 grandchildren. Apart from work and family he is also an active lawn bowls member with the Wangaratta Bowls Club and also enjoys cycling on the weekend. Born and raised in Wangaratta, Leonie has been actively involved with many sporting bodies in the area. She has studied Cert II in Business Administration and Diploma of Accounting and has over 30 years experience with bookkeeping. Leonie has 4 children and 5 grandchildren and enjoys travelling and spending time with family and friends. Originally from Slovakia, Eva now makes her home in Wangaratta with her husband and two young children. Rita has been with the firm for 13 years and assists primarily with the preparation of client Business Activity Statements. Her other roles include payroll, Administration and Corporate services. Outside of work Rita enjoys spending time with friends and family, especially her 6 grandchildren. Louise has been with the firm for approx. 5 years. Her roles include Reception and Administration within the office. Louise and her husband have 2 very active teenage boys and enjoy spending time with family and friends.